It’s one thing to learn the vocabulary and the grammar. It’s another thing to speak the language. Choose one of the expressions below. Try to translate it. Difficult? Nearly impossible? But these are everyday expressions! Repeat, repeat, repeat. If you can memorize these expressions, it will be a big step towards fluency. The principal reason for learning a language is to become fluent in it. 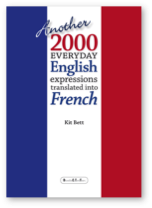 French; and Another 2000 English expressions translated into French. Module 285 (the beginning of the second book) click the button on the right. audio modules on the website. 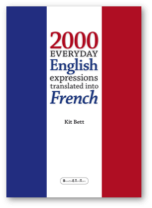 really help you to become fluent!